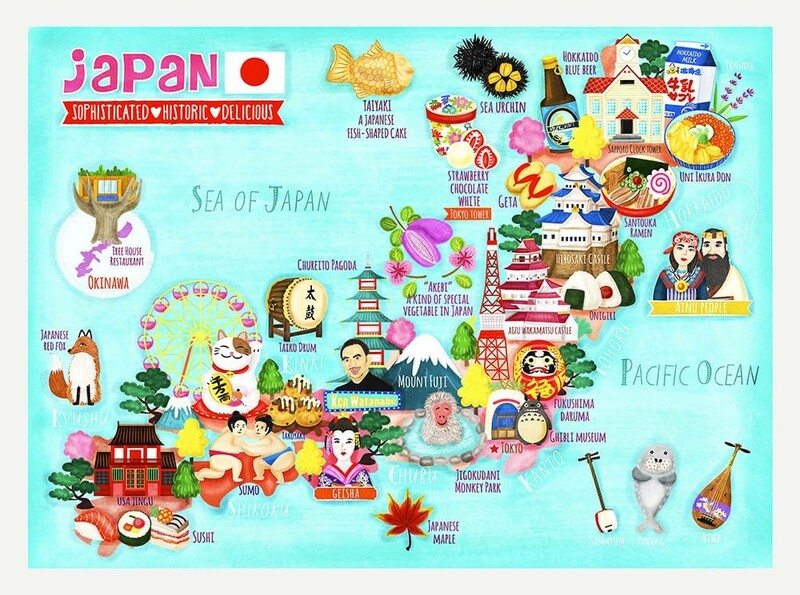 I created this beautiful map illustration of Japan because Japan is one of my dream travel destinations. I travelled there a few times when I was a child but I would love to go back as an adult and see how it’s changed. This postcard is like a mini version of my Japan map illustration. The postcard has a matte finish and is perfect for writing on. This is a great souvenir and gift for your friends and family.